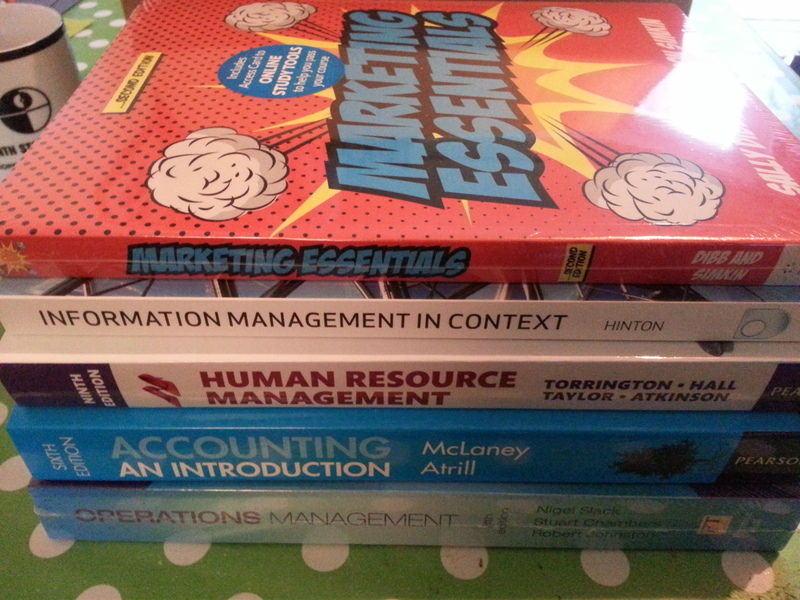 My next Open University course (B203 Business Functions in Context) started at the weekend, and the books finally arrived. You can see from the picture both what the course covers and also that for the first time in the seven OU modules I’ve done the course books have not been produced by the OU itself. I’m not sure if that is just a peculiarity of this course or whether it represents a shift in OU policy. It could easily be a way to save some money. Which book should I start off reading? the course starts the 1st of October and I would like to read something before that. Well, the course covers Operations, Marketing, Finance, HR & Information Management. You can either try and read it in the order that they come up so that you are a bit ahead, or you can concentrate on the aspects that you don’t have previous experience with. You don’t need to read all of the textbooks, the course material directs your reading to just the relevant chapters.